A very short stopover in Johannesburg, where we feasted on Nando's in the airport before moving onto Mozambique. Arriving in Johannesburg for the first time we had a connecting flight onto Zambia. For the first time, I succumbed to the porter offering to take our bags for a dollar each to the desk. To be honest I am glad I did as the airport was chaotic, and he took us up some stairs we would ever have found, straight to our check-in desk. Well worth 2 dollars. A second visit, through work, saw me staying in the Montecasino area where a Roman town has been constructed to service the area. 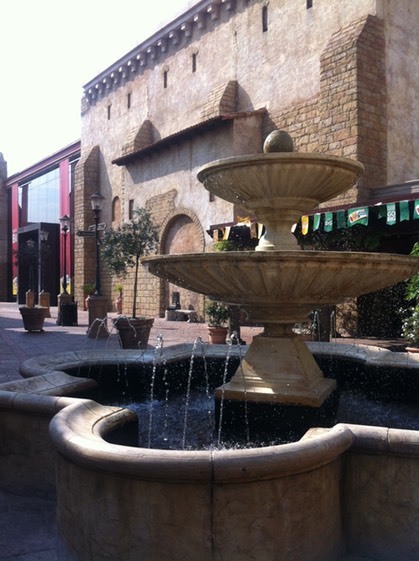 It has a piazza, bell tower, alleyways, fountains and loads of places to eat.